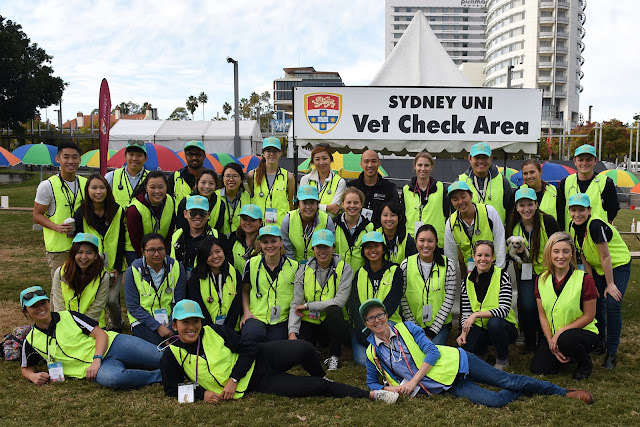 Phil supporting University of Sydney students volunteering their time to provide health checks at the Million Paws Walk in Homebush. Every year the RSPCA hosts the Million Paws Walk to raise funds for combating animal cruelty, and to encourage people to get out with their dogs. This year they’re doing the same thing – with an additional option that may have a bigger animal welfare impact. The RSPCA has introduced the Million Paws Challenge, commencing on 20 April. This enables participants and their dogs to set their own fitness and fundraising goals, leading up to the Million Paws Walk on 21 May. To take part in the challenge, register at www.millionpawswalk.com.au/challenge and set a fitness and fundraising goal. You will have 30 days to reach your target and can purchase a Fitbark to log your dog’s steps from the RSPCA store here. If you have an older dog who is less mobile, you can still get involved. Setting time aside for a bit of outdoor time together – even sitting on a picnic blanket – provides some enrichment and gets you both out. This is a fantastic initiative. Phil and I have volunteered at the event for several years running but we’ve not joined the walk itself due to Phil’s aversion to a) crowds b) walking any sort of distance c) puppies (they’re too in-your-face for Sir Phil). The challenge provides an alternative option and it’s a good excuse to get walking.